The health care system of Ukraine has been in need of fundamental changes for many years. During 26 years of independence, the country has faced many unsuccessful steps that were taken on the path to reforms. Still, none of the attempts proved to be successful and Ukraine did not manage to attain the desired aims and break the old “rotten” system by totally changing its vision oriented towards the world’s best patterns. Medicine is an extremely sensitive area as it affects everyone’s interests. When travelling the world, Ukrainians see an absolutely different level of medical services, and so they want to have medical protection that is not worse than in Europe, Australia or the USA, which are prominent for their medical innovations. However, at this time, we can witness the birth of an entirely new system of healthcare in Ukraine formed "from scratch": with new priorities as well as completely new approaches and management principles. The year 2018 will become a "point of no return", and July 1 may enter the history of modern Ukraine as the inception point of the new stage of modern Ukrainian medicine. The beginning of these transformations was marked by the long-awaited Law of Ukraine "On State Financial Guarantees of Public Health care" of October 19, 2017 No. 2168-VIII, that was adopted on 30 January, 2018. As of April 2018, the Government's "Affordable Medicine" program has been implemented (more detailed information can be found under the link ), and tender procurement of medicines and medical products is being carried out via international procurement agencies, such as the UNDP, UNICEF, and Crown Agents (starting from 2016 according to centralized programs), which is expected to put an end to corrupt schemes. Besides, an e-Health system was created and electronic services were introduced. The process to build the National Health Service has started, which should fundamentally change the funding system by focusing not on beds (as was the case before) but on the principle "money follows the patient," thereby planning to gradually transfer to insurance medicine. Uliana Suprun, Acting Health Minister , says, "When we talk about the need for transformation of the healthcare system and the successful steps on this way, it does not mean that we do not notice problems that should be tackled. Nonetheless, unlike those who oppose the changes, we do not want to tolerate these problems." April 1 marks the beginning of the "Doctor for Each Family" campaign. From now on, every Ukrainian has the right to choose a family doctor who he/she trusts and who will provide treatment. There are no obstacles in the way of choosing a doctor. Decide who you would like to sign the e-declaration with. You can visit the website of the healthcare establishment (outpatient clinic or the primary healthcare center) and get familiar with the list of doctors (most local healthcare facilities already have relevant websites, the rest are planning to launch theirs shortly). More detailed information about choosing a family doctor in different regions of Ukraine can be found from videos under the link. Another option is to go to a healthcare facility and look through the resumes of those doctors who work in your local healthcare institution (as a rule, such references are placed on information boards of every outpatient clinic or any other healthcare institution). Nobody can force you to choose a specific doctor (if your local doctor does not suit you, then you are free to change him/her). Besides, nobody can force you to choose a doctor on the basis of your address of registration or place of residence. You have the right to change your doctor in the future in case you are dissatisfied with the quality of healthcare services he/she provides. To sign an e-declaration with a doctor, you need your passport and an individual tax number. Registration of the e-declaration should be done in person in the healthcare institution. The registration process is free. There is only one limitation in choosing a particular doctor: if he/she has already signed 2,000 declarations with patients and has exceeded the possible limit. One cannot become the 2,001st subscriber, and so the patient will need to find another doctor who does not have enough patients yet. So, if you have already decided on a doctor or have good recommendations as to a specific healthcare professional, you can go immediately to the local healthcare facility and sign the e-declaration. If you still have questions like, "Does the e-declaration have an expiry date? ", Will there still be house calls by family doctors? ", Can I sign e-declarations with a few doctors? ", and so on, then you might get some explanations under the link. Starting from April 2, Ukrainians have been actively choosing their doctors. At last, the approach towards providing medical services in our country is radically changing. Over two weeks, Ukrainians have signed almost half a million e-declarations, 447,288 to be precise. Kyiv occupies top spot with its 76,000 signed declarations. Second place is taken by Donetsk Oblast – almost 64,000. Third place goes to Kharkiv Oblast (46,696), and fourth is taken by Vinnytsia Oblast (43,857), while the fifth is Poltava Oblast (38,042). Uliana Suprun, Acting Health Minister says , "1,069 institutions and 16,252 family doctors, physicians, and pediatricians have joined the e-system of healthcare. Where the local authorities have done their part of the work in a timely manner, medical institutions have access to the Internet, are connected to the e-system of healthcare, have computers, printers, and paper – all in all, people can choose their doctors. For example, the villages of Vasylkivka (Dnipropetrovsk Oblast) and Velyka Bahachka (Poltava Oblast) have everything that is required even though only a few residents live there. We will do everything in our power to ensure that people from every part of Ukraine can sign e-declarations without delays or any other problems. The campaign has just started and soon the process will improve everywhere. The main thing now is that we all treat it positively, support our medical workers who work intensively, and calmly choose our doctors." A summary of the first week of the campaign can be found at the following link. A summary of the second week of the campaign can be found at the following link. Why Do You Need to Sign the E-declaration? The very fact that you sign the e-declaration will provide you with indisputable benefits: Starting from April 2018, doctors will provide services to those patients with whom they have signed e-declarations. If you have not managed to sign the e-declaration on time, you can do it at any other moment later. However, you may miss the chance to choose your preferred doctor. Patients who do not sign e-declarations will have to pay in order to pass all examinations (complete blood count (CBC), clinical urine test, blood glucose test, ECG, fluorography, X-ray, and general medical examinations conducted by doctors specializing in certain fields of medicine). Signing the e-declaration will determine whether you will get the funding of money transferred for you by the state to the healthcare institution via the National Health Service. It should trigger the new mechanism that "money follows the patient." Starting from July 1, the funding system of "primary healthcare institutions" will radically change – from that day the money will follow the patient. The more citizens that sign e-declarations with the primary healthcare center, the better the level of funding for healthcare institutions. Subsequently, citizens will be able to receive higher quality services. Uliana Suprun emphasizes that, "In order for healthcare facilities to work effectively under the new financing model, they have to change the rules of their work – undergo the process of autonomy and become communal non-commercial enterprises. After that, they will be able to sign contracts and agreements with contractors, start to optimize costs, and finally increase the salaries paid to doctors. Starting from July, the first autonomous medical institutions will start signing contracts with the National Health Service and receive payments for each patient who has signed the e-declaration with a doctor during the primary stage." For each registered patient, the National Health Service of Ukraine will transfer a specific sum to the healthcare facility depending on the patient's age coefficient. Thus, for a patient aged 18 – 40, the expected sum is UAH 370, whereas for children under the age of 5 and people older than 65 the sum will be increased. Doctors' salaries will depend on the number of registered patients. However, even if an insufficient number of patients have signed declarations with a specific doctor, he/she will not be left without money but will be paid the minimum wage rate. At the same time, quite a few representatives of the medical community have expressed concerns regarding the funding of the newly-established healthcare system, the quality of medical services, and the mechanism of the "money follows the patient." "It is planned that the National Health Service will manage all costs that will be allocated within the framework of the Medical Guarantees Program (particularly, the entire reform is devoted to this). This refers to primary healthcare (seeking help from a pediatrician, physician or family doctor), secondary healthcare (inpatient treatment; secondary level doctors: surgeons, endocrinologists, ENT doctors, etc. ), tertiary (regional hospitals, specialized hospitals), emergency and palliative medical care. However, in spite of the fact that the National Health Service of Ukraine (NHSU) was established in December 2017 and the regulations determining its powers were approved, the NHSU has not started its work. The procedure for providing primary healthcare services has not been approved yet either. Therefore, there is a need to accelerate the adoption of all necessary regulatory and legal acts as the new system could not be implemented starting from July 1." – emphasizes Andrii Shypko, a Ukrainian MP and member of the Verkhovna Rada Committee for Healthcare. – "From now on, the money will follow the patient. It is planned to create regional departments where service specialists will receive reports from hospitals and will transfer money for patients. It sounds great. For example, a patient with a broken hand went to hospital, the doctor examined him/her, placed a plaster cast, wrote a report, and sent it to the National Health Service. The Health Service operator receives an application, calculates the cost of the medical examination and the plaster cast, and transfers the funds to the hospital. Here comes the question: how many patient-cases are there in Ukraine every year? I will tell you: 8 million cases, which means 23,000 a day. Now let's take an operator or a dispatcher who will work in the National Health Service and count how much time it will take him/her to process one report, since a doctor can send even three reports regarding one patient. As such, it is hard to understand what effectiveness this service would have and how quickly the reports will be processed. There are on average a thousand reports in a day for one structural department of the National Health Service. Therefore, there is a need for a huge number of operators (and if that is so, the question is whether it is justifiable to spend great amounts of money just on maintaining the money calculation and transfer processes) or will these reports merely be a formality. If a decision is made to implement such funding, then it is important to carry out checks at district level. Otherwise, we will have a lot of reports that nobody will be able to check. And the check is actually the most important feature in order to correctly understand whether the healthcare service is provided in the right way and whether there are any unnecessary prescriptions or appointments. The goal should relate to not just money – the primary aim is the quality of medical aid. By the way, nowhere in the world are intensive care doctors financed through this principle. The funds there are provided in advance as the medical aid should be provided here and now and not after proceeding with payment after the treated case." _"I am positive about the reforms and those changes that are being implemented. I also support the Minister of Health because she at least she is doing something. However, I think that it is rather difficult to talk about reform if the funding is not increased and the budget allocated for the healthcare sector remains at the same level. Essentially, in such case, the service will remain at the same level. Nothing has changed so far. Furthermore, I believe that it is now impossible to provide an adequate service with the appropriate number of procedures, medications, examinations, and tests for the sum of UAH 370, taking into account the fact that in private practice a doctor's consultation costs UAH 350. That is why private healthcare institutions are not interested in participating in the reform and sign e-declarations alongside public healthcare institutions. According to our calculations, for a private healthcare institution to benefit from the reform, the sum should be increased to UAH 2,500-3,000 per patient. In addition, it is necessary to urgently change the motivation for a doctor. A modern doctor should earn at least USD 2,000, otherwise we will lose them as they will opt to go to neighboring Poland or Germany. Many of my colleagues have already left Ukraine," _says Anatolii Kornutiak, a physician working in private practice in Irpin, Kyiv Oblast. This is not the very first time that healthcare reform has begun, but on each previous occasion dramatic changes for the better were not felt. Therefore, many people, including part of the medical community, are skeptical about the changes being implemented. "The reform that Ukraine is implementing is the most large-scale reform in Europe. In certain decisions, such as e-healthcare, we are 'outrunning' the stages of evolution in European countries. We have started from those areas that are the best for the inception of reform – the primary link and electronic solutions. Undoubtedly, we have serious risks. Time is against us. It is necessary to simultaneously solve problems with quality and education. Besides, political stability and consistency of actions are equally important," says Deputy Health Minister Pavlo Kovtoniuk. To debunk prevalent myths and concerns, the Ministry of Healthcare of Ukraine has launched a powerful information campaign. Public discussions and debates are held, Acting Health Minister Uliana Suprun provides commentary and interviews in TV and radio studios almost every day. The Ministry has also created a separate information booklet called "Reforman", that provides answers to numerous questions from citizens and medical specialists. More detailed information about it can be found at the link. "We constantly explain that, when concluding a contract, people do not have to pay for it (for some reason, there is information that this service is paid). Additionally, patients can choose any doctor they prefer. We inform that if you plan to fill in the declaration but do now know how to choose, then you can visit the website of Irpin city hospital, which has our page. The local newspaper 'Irpinskyi Visnyk' publishes information all the time about each outpatient clinic and the doctors who work there. If, for example, there is a problem that a pediatrician has already got more than 1,200 declarations (and we do have such cases) and cannot take any more patients, we recommend that the whole family, including parents and children, sign the declaration with a family doctor. During this time, more than 32,000 declarations were signed. We also have an electronic signature. All data is gathered and stored on a server, which would make it possible to further enter data into the e-Health system as there are certain system 'hang-ups' when it comes to the quick start of the campaign. However, this process is normal and we will do everything gradually," says Oleh Vovkotrub, acting chief doctor of the municipal establishment "Irpin local center of primary healthcare services." In Mariupol, MedBot Martha, a project innovative for Ukraine has been launched – it informs and answers questions that frequently arise among citizens. As such, people can get answers to their questions without leaving their homes but just by visiting the webpage. Many explanations relate to migrants and unusual situations. For example, what should you do if you have lost your passport, have no documents, etc. Further information can be found here. Still, the most convincing evidence of positive change is success in the localities, in different regions of the country. "We managed to start successfully due to the support of our local authorities, qualified personnel, and the active participation of citizens. Were it not for the informatization process of institutions that started in 2015, when computers were bought and the information system was provided in inpatient departments of Mukachevo Central District Hospital, and that further influenced outpatient facilities at the end of 2017, it would be hard to talk about successful changes now. It actually provided a start to our future work, and there are no secrets to it. Somewhere in November, while in a hurry, I legalized the digital signature as a manager and registered the institution and structural departments in e-Health. In December we started to register our doctors in the system and simultaneously prepare digital signatures for them. From the end of January, we began to make electronic declarations in the e-Health system, which worked in test mode back then. In February-March 2018, we signed approximately 17,000 declarations. As of today, there are 25,000 signed declarations. This is about 30% of the total number of citizens, which is a great result for two months. Still, I cannot say that the process is being implemented without any obstacles. There is a small number of people who are afraid to provide their personal data and copies of their documents (according to the order of the Ministry of Healthcare № 503 from 2018)," says Yevhen Meshko, the chief doctor of the Center for Primary Healthcare in Mukachevo. "However, we do not stop because we know that patients are expecting improvement in the quality of healthcare services and medical workers are looking forward to an increase in their salaries. It is impossible to work in the conditions of our current incomes. This is the primary reason why our young doctors are heading abroad. As regards the quality of services, one should not wait for drastic changes to begin from July 1. The process will be gradual. For example, a few services have already been implemented in our healthcare facility: it has become possible to pass tests in each outpatient clinic, one can arrange a preliminary appointment, which has almost eradicated queues near doctors surgeries, and medical documentation is gradually being introduced into the information system. A family doctor has the ability to sign up patients to doctors specializing in certain fields of medicine via the electronic system, and so a patient does not have to go to the polyclinic and stand in queues. Medical assistance is provided to patients seven days a week because at the weekend and on holidays family doctors are also on duty. Thanks to the local authorities, all privileged categories of society get free outpatient treatment (according to Resolution No. 1303 of the Cabinet of Ministers of Ukraine from 1998), whose value is approximately UAH 12 million per year. All inpatient treatment based at the Mukachevo Central District Hospital is also 100% free of charge, including such expensive operations as endoprosthetics, replacement of crystalline lens, metal osteosynthesis, chemotherapy, etc. Similarly, local residents receive compensation or preliminary funding for expensive treatment at tertiary level. A resident of Mukachevo is completely protected from enormous expenses because of health problems, and this is the achievement of city authorities." Further information about the reform's leaders according to the number of signed declarations can be found at the link. The reform has moved into its implementation process. The campaign has started. What we have nowadays is the process when a building already has a foundation (I mean the Laws of Ukraine), the construction work has begun and the walls are being erected. Before we had a solid problem, healthcare resembled an old house with cracks and the wind blew from everywhere. The fact that changes have begun is a huge plus. For my part, I can say that with over 20 years of experience of working in the healthcare sector and communicating with authorities who started reforms five or even ten years ago, I should underline the importance of the current changes. Thus, we should understand that the changes will not be clearly evident either today or tomorrow. It may take years, probably five or ten. Smart people understand this perfectly. It should also be noted that, when such changes begin, they affect both doctors and patients. Doctors who have been working for more than a year and have work experience of at least ten years have experienced more than one start of reforms. As such, they are skeptical about their further work. As such, in order to change this misunderstanding and reject the fears of certain doctors, there is a need to be more aware of practices that exist in EU countries. For example, it is often said that the American model of healthcare is implemented in Ukraine – it is not true. The Ministry of Healthcare of Ukraine has never stated this. Another example is that other countries have had electronic databases of patients for many years already. From the perspective of medicine, it is far easier for a doctor when there is one electronic history of a patient. And here there is no need to speculate about the leak of databases, etc. In its own turn, the younger generation of doctors who travel abroad and witness other experience perceive such changes with less fear. Doctors like Yevhen Meshko and Oleh Stadnik are a striking example of representatives of this young generation. Such people do not yell about betrayal but implement changes for which they received a mandate. Finally, I would like to say that I have already chosen my doctor. Even though I have not yet had time to come and fill in the declaration but the choice for myself and my family has already been made. Viktor Liashko, Deputy Director General of Infectious Diseases Supervision of the public agency "Public Health Center of the Ministry of Health of Ukraine." I see changes and they are huge. Three years ago, nobody believed that a Law would be adopted that would distinctly show how and where we are heading. Now, doctors have really felt that the reform will take place. Most of those who listened to experts are starting to support healthcare reform. Personally, I have talked with family doctors who were selected via competition and who are ready to implement the reform starting from July 1, and I must say – people's eyes are sparkling with enthusiasm. They feel the approach of real changes that could enable restoration of the authority of the doctor who will no longer have to be a "money-pleader" in order to provide for his/her family. Doctors will get an opportunity to feel themselves as real specialists that will proudly provide healthcare services. I also support autonomization of healthcare facilities. However, I see a problem regarding this issue – in our country, even if they autonomize and transfer something into communal non-commercial enterprises, they still try to influence decision-making. What I mean by that is that government bodies such as the regional or district council are trying to influence chief doctors via corresponding mechanisms registered in institutional statutes: who to hire, what to do, and so on. I guess that complete autonomization appears only when the National Health Service becomes fully operational and there is no pressure from regional funding. The National Health Service will procure services within the framework of medical guarantees. Moreover, if all the provisions prescribed by the Law are met, then everything will run like clockwork. The Law envisages that approximately 5% of GDP should be allocated to healthcare. If we take the 2018 state budget, then the sum should equal UAH 167 bln provided that the reform is fully operational starting from 1 January, 2018. So far, there are UAH 54-57 bln for subventions and UAH 8 bln for primary healthcare. 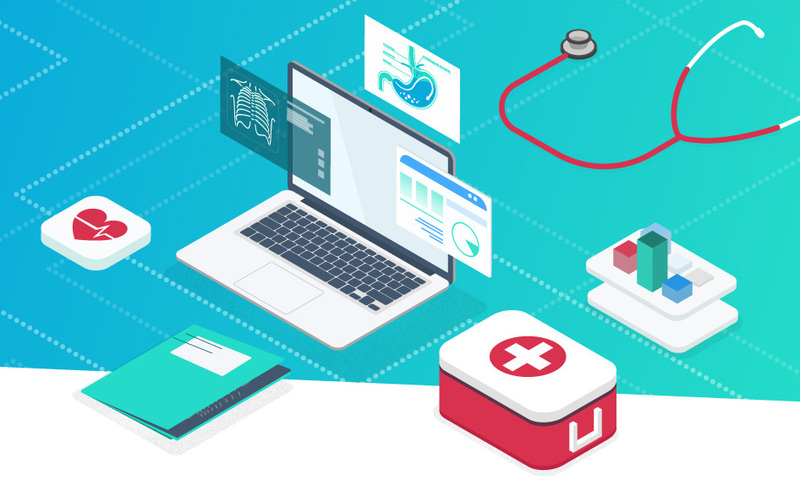 If UAH 167 bln is allocated for medical guarantees, all procedures and tariffs are registered, and e-Health starts operating, then there will be no problems. This article has been first published at The Reforms Guide.